The NCD Secondary Schools Youth Social Issue Awareness Drive was hailed a success with students being delivered the message of making the right choices through the testimony of those who have been in trouble for doing the wrong things. 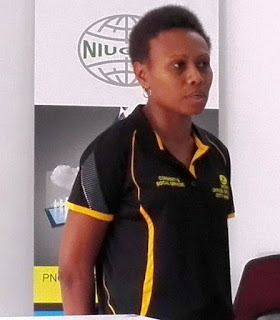 The Coordinator of the NCDC Yumi Lukautim Mosbi (YLM) program Ms. Lucy Totil said she was pleased to see students really being impacted by the message from their fellow youths who have been involved in the odd bit and now ending up as juvenile inmates at the Bomana Correctional Institute outside Port Moresby. “It was the testimony that had effect on students and also teachers because it was their true life stories,” she said. The message is simple; make better choices in life and education is the road to a better future, better than ending up in prison for making the wrong choices. The two weeks awareness drive which covered all the secondary schools in Port Moresby was organised by NCDC YLM in partnership with the National Youth Development Authority (NYDA) and the Correctional Service with the aim to enable students to make the right choices in life by making them aware of the bad effects of illicit drugs, alcohol and crime. Other issues also talked about include, school fights, cult activities and teenage pregnancy. The awareness drive engaged 14 juvenile inmates all aimed to pass this very important message to their fellow youths. Meanwhile, because of its success, plans are already underway to expend the awareness drive to primary schools and communities in the city in 2017.